Sign up for our raffle to win an Amazon Gift Certificate! The Future of Adaptive 2.0 Learning Technology is here! intellADAPT’s Adaptive 2.0 Learning Solution is the only SaaS model that provides individual educators, institutes, and corporations the ability to publish customized truly adaptive 2.0 digital courses. Capture your share of the surging digital course market on all platforms and mobile. The adaptive 2.0 Engine allows even the most technologically challenged individual to create rich, adaptive 2.0 digital courses, with intuitive step-by-step instruction. Robust courses and deep learning are the new standard with intellADAPT’s Adaptive 2.0 Learning Technology unique ability to incorporate personalized adaptive learning strategies, assignments, assessments, and rich multimedia content all with real time intelligent feedback. Publish your adaptive 2.0 digital course with intellADAPT’s Adaptive 2.0 Learning Technology today. intellADAPT’s content agnostic Adaptive 2.0 Learning Technology allows for seamless transition of previously curated content into beautiful, rich, adaptive digital courses which are cross platform and device independent. Go Mobile anytime. Launch your Adaptive 2.0 digital course with unsurpassed scalability, allowing multi-instructor management and limitless student enrollment. Track student progress every step of the way with robust analytics and reports, intervene when necessary for a more personalized eLearning experience. Increase course participation, learning outcome, retention and completion rates as well as overall student competency with intellADAPT’s Adaptive 2.0 Learning Solution. The term ‘Adaptive’ has become such a buzzword in the eLearning sphere that we are not surprised when potential clients communicate their confusion to us. So many companies misrepresent their technology by using the term ‘Adaptive’. We have observed ‘Adaptive’ being used so loosely as to refer to simple changes in pacing, order of content presentation and even the capability of one eLearning’s program to adjust screen resolution. In order to bring clarity intellADAPT is proud to present our Adaptive 2.0 Learning Technology, the only truly adaptive 2.0 Learning Technology. 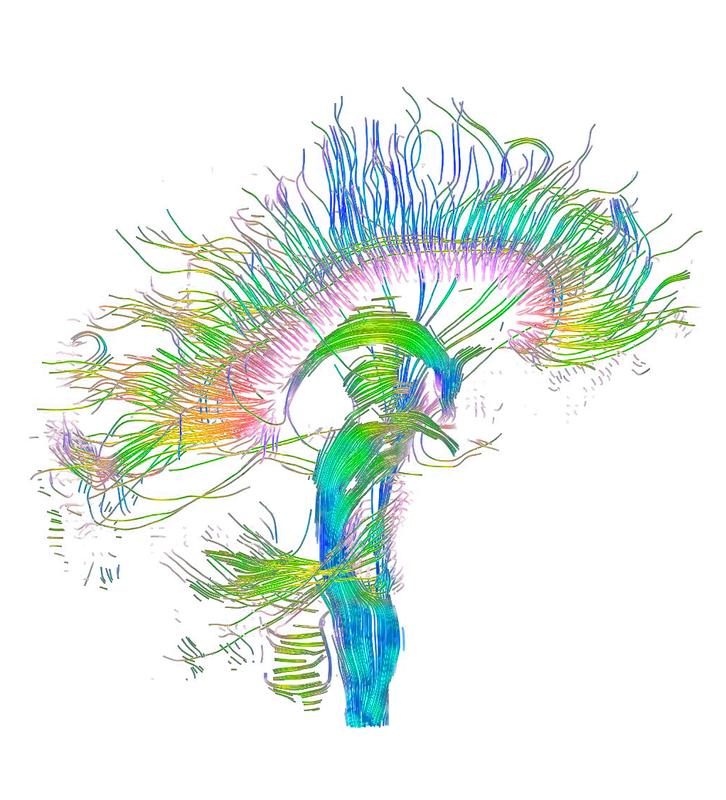 Adaptive 2.0 merges years of cognitive brain-based learning research with the latest advances in computer science. 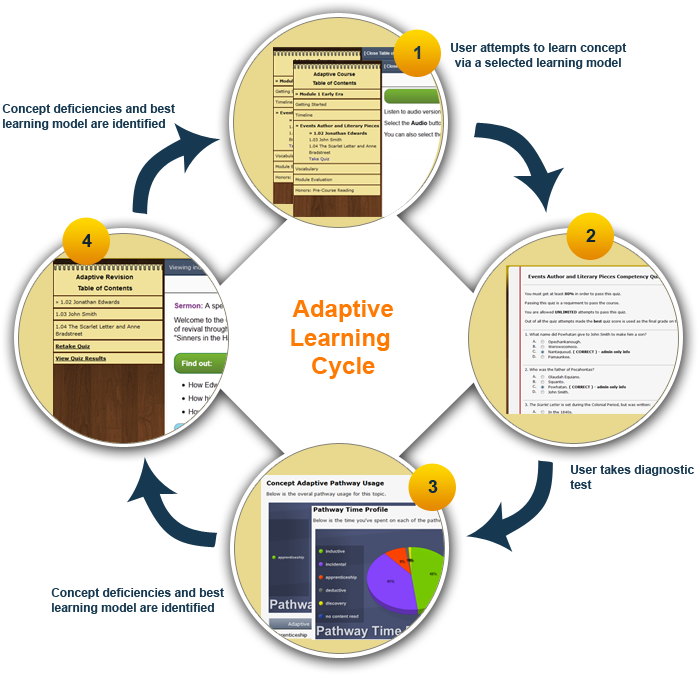 The pinnacle of adaptive technology relies on Micro-Adaptive Integrated Learning Networks, basically individual customization for each unique learner. Our ‘Adaptive 2.0’ engine provides dynamic, personal customization that responds to the innate learning differences each learner has. Big data engines use complex algorithms, and amalgamated student metrics that seek to find averages leading to predictions rather than adaptation. With ‘Adaptive 2.0’ there is no average or “One-size-fits-all” just one-of-a-kind, a different strategy and approach for each unique individual. If you’d like to find out more just send us a message! We understand the need for personalized adaptive learning. 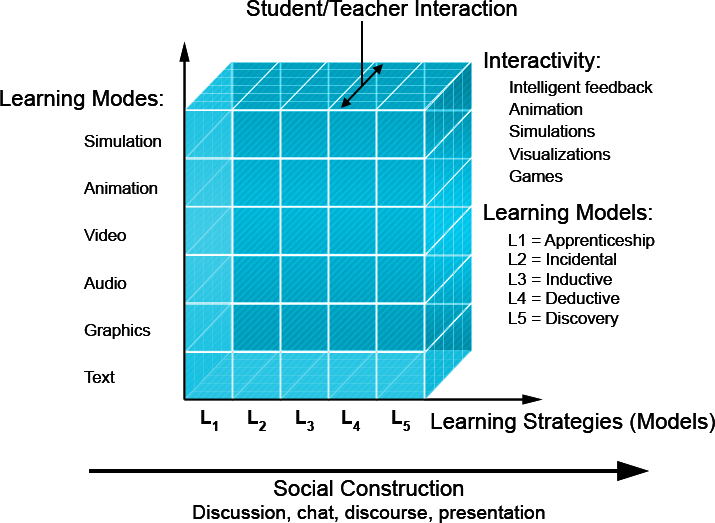 intellADAPT utilizes the ‘Learning Cube’ pedagogical framework as the basis for adaptive learning. This framework allows the individual learner to successfully reach their potential through a customized learning strategy. Each learner traverses five different learning strategies until they arrive at the one that maximizes their learning potential. Sign up with your email address to get the latest news and updates from intellADAPT!